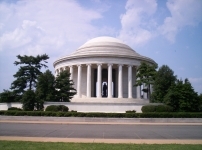 Jefferson Memorial on the south side of the Tidal Basin in Washington, D.C. Source: NPS, 2018 Visitor Statistics; Visitor Rank among 378 units. Some additional films and attractions inside the buildings, such as the IMAX film and simulators in the Smithsonian's Air and Space Museum do charge an entrance fee. 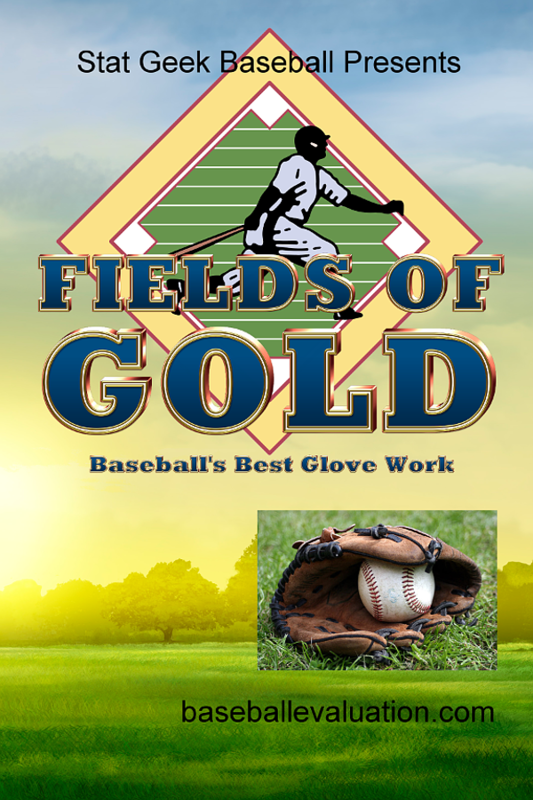 $1.50 Reserved Ticket Tour Fee, Unreserved ticket free on first come first served basis. Summer - Warm and humid. Winter - Cool to cold depending on the day. Rare snow. 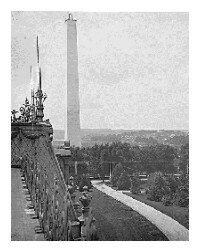 Above: The Washington Monument, uncompleted without capstone, from the Department of Agriculture building, circa 1880. Source: LOC. Photo right: World War II Memorial with the Washington Monument in the background. Almost from the moment the streets of Washington, D.C. were laid out by L'Enfant and the stones for the foundation of the White House placed, you could feel the history of the United States forming from the soil that surrounded each building. 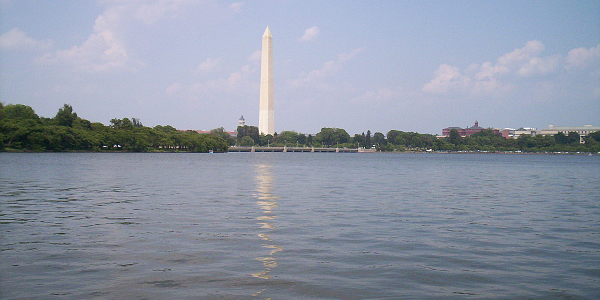 Rising along the Potomac River would come the Capitol Building, the Smithsonian Institution, the Washington Monument, and the myriad of other monuments, memorials, museums, and government buildings both around the National Mall and beyond. And they continued to grow, including embassies from around the world to fountained gardens and tidal basins of water and marble. There is so much to do in the dizzying array of historic buildings, museums, and monuments that it seems almost impossible to do them all. White House - 1600 Pennsylvania Avenue where the President of the United States has lived since the year 1800 days of John Adams. The White House may be visited by tourists, although tickets are limited and must be ordered in advance of your arrival from your Congressmen. There is a visitor center there for others, as well as the view from behind the gates along Pennsylvania Avenue, which is currently blocked from traffic due to the fear of terrorism. Capitol Building - The majestic hall of government is open to visitation daily, except Sunday, for tours. Of course, it is also the site during sessions of the House of Representatives and Senate where the laws of Congress are debated and passed. Many office buildings surround the structure, housing the offices of the various office holders. Smithsonian Institution - What started out as an ornate structure (now serving as the visitor center) to house the museum pieces of a nation has now grown into a series of museums stretching along the mall, as well as other locations. From the Arts and Industries Building to the Air and Space Museum, from the Museum of the American Indian to the Museum of Natural History, plus many more. Each of these museum can take several hours to visit. October 13, 1792 - The cornerstone for the White House, the oldest federal building in the city, is set, two years after the Residence Act authorizes President Washington to choose the site for the capital along the Potomac River. President Adams moves into the White House in 1800. 1814 - The Capitol buildings in burned by the British during the War of 1812. 1848 - The construction of the Washington Monument starts. It would not be completed until 1885. 1855 - Built from the bequest of James Smithson, the original home of the Smithsonian Institution, known as the castle today, was completed. 1902 - The McMillan Commission proposes a reflecting pool west of the Washington Monument, a memorial to Lincoln, as well as other changes to Pennsylvania Avenue and the National Mall. 1932 - Supreme Court building completed. April 13, 1943 - Jefferson Memorial is dedicated by Franklin Delano Roosevelt, completing the fourth axis at the southern terminus of the national mall. May 29, 2004 - World War II Memorial dedicated, eleven years after it was authorized by Congress. Photo above: Photo above: The original Smithsonian Castle building, now serving as the Visitor Center. Photo below: Rear steps of the Capitol Building on the National Mall, Washington, D.C.
And you would need the better part of a week to do that, but the beauty of the locations of most of these grand patriotic attractions is there proximity to the National Mall and its two simple axis. From the Capitol Building to the Lincoln Memorial from east to west sit the many buildings of the Smithsonian Institution, the monuments to Washington, World War II, Vietnam, Korea, the Lincoln Memorial and more. From the White House to the Jefferson Memorial on a north to south axis that also includes the Washington Monument congregate another collection, including the Tidal Basin and the new FDR Memorial and the Holocaust Museum. 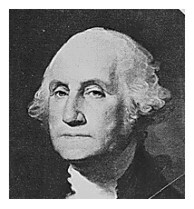 Washington is our nation's capitol today, and has been for over two hundred years following short stints in Philadelphia, New York, and York. It's purpose upon creation in 1790 was to serve as the headquarters of the government, which, with the grand collection of office buildings that dot the streets just off and on the mall, goes to prove that point for certain. And for many people who use Washington as their home, or temporary home, or even to visit, it is in those halls of government that they visit. For others on vacation or visiting, it is the museums and monuments that draw most of their attention. Washington, D.C., particularly during the week, is a very busy place. Weekends less so, since most of the government buildings are not conducting business during those days. Parking is at a premium and the rules strictly enforced. It is often suggested that you visit Washington by taking the Metro into one of the convenient stations to the National Mall and use Circular Bus around the Mall to ferry you from one building to the next. You may board it as many times as you like during the day. Other buses also provide this service. However, there is parking available along the streets (many are 1 hour weekdays, 3 hours weekends) and in lots (all day) to the south of the Jefferson Memorial. There is a lot of walking to do no matter whether you take the bus or park, and finding a parking spot right next to some attractions is hard to find. Some day this should be corrected by the park service to accommodate those who find walking difficult. Some handicap spaces do exist. You could spend a day or a week moving in and out of the various buildings or taking a ranger tour of one of the monuments there. In summer, most monuments and memorials have guided walks (free of charge) four times per day. Check at the visitor information centers near each location for the specific times and topics. Our nation's capitol, Washington, D.C. is a must for any tourist who loves the country and our history. Washington Monument - The first built monument to the nation's first president looms over the skyline of the District of Columbia from all points. 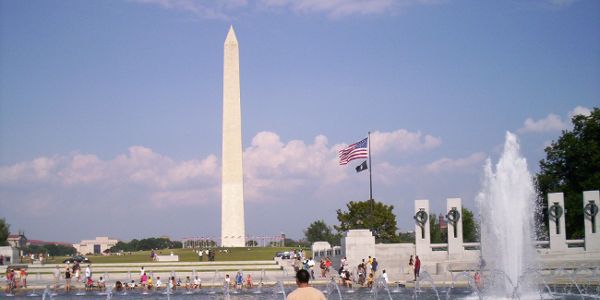 It is located in the center of the National Mall's two axis. You may climb the steps of the monument (timed tickets are required and available on the first come, first served basis. World War II Memorial - One of the newest of the monuments in Washington and to us, one of the most spectacular. It is still wondered why it took so long to build a monument to the 16 million men and women who served in uniform for the United States in World War II, and the selection of the location between the Washington and Lincoln memorial was a constroversial spot. However, there is little no controversy about it now. With two large fountains and a respectful design that evokes the pride and sacrifice made during that time, it sits as a reminder of the valor exhibited by all who endured the hardships of war necessary to keep of freedoms intact. Over 50 million people died across the globe in World War II, including 400,000 Americans. 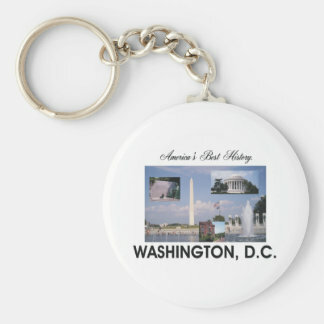 Washington History T-Shirts and other history souvenirs from the official merchandise of America's Best History. 1. Although it is nearly impossibe not to do a whole lot of walking while visiting the nation's capitol, no matter the mode of transportation you choose, don't forget to take the time to join a ranger tour at any one of the monuments, memorials, of at the Capitol Building. These tours give you a perspective on the place and its importance to the nation that is hard to get from any exhibit or film on the subject. We may know of the men or war that are honored there, but the story of each one of them and of the monument that holds their place in history high is greatly enhanced by the park rangers that tell each story, whether it be the story of Franklin Delano Roosevelt at one of the newer memorials, or the story of Abraham Lincoln and the Civil Rights Movement that used his monument as such a prominent place it its struggle. 2. Behind the Smithsonian Castle, the original 1855 building of the complex that stretches now on both sides of the National Mall, visit the Haupt Gardens as well as the other gardens along the promenade. You may not think of Washington, D.C. as a place of botanic pleasure, but these spaces amongst the bustle are great places to walk through. The Botanic Gardens themselves are on the north side near the Capitol Building, but they are only one of many gardens, fountains, and plazas the provide beautiful outdoor pleasure to the surroundings. 3. Even though at first thought, it may seem like an odd location for such a museum, the United States Holacaust Memorial Museum, is a must see for anyone who is visiting Washington. It is an important look at the horror of World War II and the Nazi regime of Adolf Hitler who caused such a tragedy. You will need a timed ticket for entrance (free of charge) and the walk through the films, sounds, and exhibits, which include shoes from the victims, a rail car like that used for transport, and the cobblestone from the streets of the Warsaw ghetto. It is a depressing topic, no doubt, and the feeling you have when existing will not be good, (almost nobody talked while viewing) but this museum is an important reminder for anyone over the age of 12 of what went on for the Jewish people during Hitler's reign of terror and how important it is to make certain actions like that never happen again. The Holacaust Museum is located south of the Washington Monument on the walk to the Jefferson Memorial. Photo above: Washington Monument in the distance from the opposite side of the Tidal Basin, Washington, D.C.
National Mall (South Side) - From the capitol on the east end to the institutions of the Smithsonian down to the Lincoln Memorial. These buildings predominantly front on the mall itself along Jefferson Drive with Independence Avenue to the rear. U.S. Supreme Court - Actually located behind the Capitol on 1st Street. Open Monday-Friday. Library of Congress - Next to the U.S. Supreme Court in the Thomas Jefferson Building. U.S. Botanic Garden - Just below the capitol building along Maryland Avenue. National Museum of the American Indian - The Smithsonian museum devoted to American Indian culture. These buildings are open daily 10:00 am to 5:30 pm. A few of the museums each year are open until 7:30 pm in the summer. National Air and Space Museum - Just great for kids of all ages. Don't walk past the first exhibits as you move inside the doors, even though they look a bit old and too small to be important. These are the first space capsules; try to imagine how John Glenn fit inside there. The museum also includes (for an extra fee) an IMAX theatre and Air and Space Simulators. An additional museum with larger aircraft is located at the Steven F. Udvar-Hazy Center in Chantilly, Virginia, west of Washington. Smithsonian Castle - This is the original Smithsonian building which now houses the Smithsonian Visitor Center, including an orientation film and food. 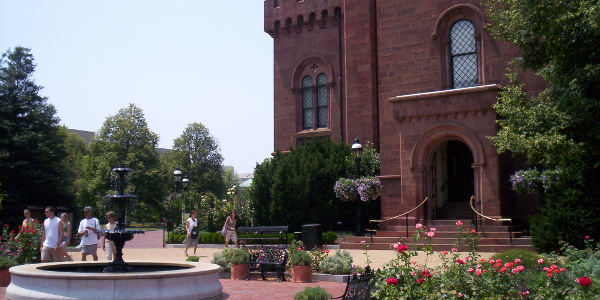 Behind the Castle are the Haupt Garden, the S. Dillon Ripley Center, the Sackler Gallery, and the National Museum of African Art. All Smithsonian museums and the National Zoo are free and open daily, except December 25. Freer Gallery of Art, which includes rotating exhibits with tours available for free. Below 14th Street sits the National Mall and Memorial Parks, starting with the Washington Monument and ending with the Lincoln Memorial. See on the National Mall below for a detailed list. National Mall (North Side) - More Smithsonian Institutions plus a variety of other structures. These buildings front on Madison Drive with Constitution Avenue to the rear. National Gallery of Art and Sculpture Garden - Located in two buildings seperated by 4th Street and backing up to Pennsylvania Avenue. National Museum of Natural History - Another Smithsonian Institution structure. Below 14th Street, see On the National Mall below. Below the U.S. Capitol as you look down the mall sits the Ulyssess S. Grant statue and the Capitol Reflecting Pool. From 3rd Street to 14th Street, the National Mall is predominantly an open grassy area with a few small structures; including the Hirschhorn Sculpture Garden, plus several food concessionaires. On both sides of the mall sit the Smithsonian Institution Buildings and other museum discussed above. Below 14the Street sit the National Mall and Memorial Parks. Washington Monument, which requires timed tickets to climb. They are available on the east side of the monument. A ranger station and the Sylvan Theater are located nearby. World War II Memorial - Sited between the Washington Monument and the Reflecting Pool that leads to the Lincoln Memorial. It is the most recent addition to the mall and a great one as well. Reflecting Pool runs from 17th Street to 23rd Street. Constitution Gardens - Located to the north of the Reflecting Pool in a wooded area, the gardens include a Memorial to the 56 Signers of the Declaration of Independence. Vietnam Veterans Memorial - Located between the Constitution Gardens and the Lincoln Memorial. Ranger programs are held daily from 9:30 am to 8:30 am. The memorial also includes the Three Servicemen and Vietnam Women's Memorial. There is very little dedicated parking close to this memorial, except for street parking along Constitution Avenue and parking to the south of the Lincoln Memorial along Ohio Drive. Korean War Memorial - Located on the south side of the reflecting pool near the Lincoln Memorial. The Lincoln Memorial - In many ways known not only for its namesake, Abraham Lincoln, and his contributions to fighting the Civil War and ending slavery, but now as the site of the Civil Rights struggle, its marches, and the famous speech of Martin Luther King. King has been memorialized with his own monument along the Tidal Basin. It opened in 2011 and is located on West Basin Drive. Located on the north/south axis with the Washington Monument as the center of its cross sits the Jefferson Memorial at the southern end with the White House on Pennsylvania Avenue to the north. There is quite a bit in between, too, including the entire Tidal Basin area and President's Park. The White House - At the northernmost part of the National Mall, between Lafayette Park and the Ellipse, the White House complex includes a Visitor Center. Visitation of the White House itself must be reserved in advance of your visit to Washington by contacting your Congressional representative. National Aquarium - Beside the Mall along 15th Street. Corcoran Gallery of Art, American Naitonal Red Cross, Daughters of the American Revolution, and the Organization of American States - These buildings sit across the Ellipse from the National Aquarium. Forest Service Museum - Located along 15th street below the Washington Monument. 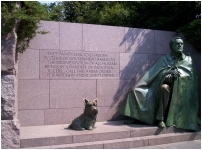 Franklin Delano Roosevelt Memorial (photo above) - This recent addition to the Tidal Basin area is in one of the more remote locations in the park area, however, this has not stopped this Memorial from becoming one of the most popular spots in the area. The modest, low-slung structure sits within a grove of trees and follows the four terms of Roosevelt's presidency, including the controversial statue of FDR sitting in a wheelchair, which he was kept hidden from public during his tenure. Thomas Jefferson Memorial - In classic style, this Memorial creates the southern terminal of the Tidal Basin axis and gleam across the water on sunny days. Parking for the memorial, which is an all day lot, resides south along Ohio Drive in East Potomac Park. George Mason Memorial - Tucked between the Jefferson and the parking lots mentioned above. Folger Shakepear Library and John Adams Building - Located behind the Library of Congress on 2nd Street. James Madison Memorial Building - Located near the Capitol South metro station between E Street and Independence Avenue. Union Station and the National Postal Museum - North of the U.S. Capitol on Massachusetts Avenue. Sewell Belmont House National Historic Site - North of the U.S. Supreme Court. National Building Museum - Located in the old Pension building, F Street between 4th and 5th Streets. Newseum - For all those news junkies out there. A recent addition to the Washington museum landscape, it is located along Pennsylvania Avenue near the National Gallery of Art. National Archives - Just off the mall behind the National Sculpture Garden. U.S. Navy and Naval Heritage Center - Halfway between the U.S. Capitol and the White House on Pennsylvania Avenue. Reynolds Center: American Art Museum Portrait Gallery and International Spy Museum - Located on F Street near the Verizon Center. Ford's Theatre National Historic Site and House Where Lincoln Died. Historical Society of Washington, D.C. Research Library - Next to the Washington Convention Center. Old Post Office Tower and D.C. Visitor Center - Located along Pennsylvania Avenue between 10th and 14th Streets. Department of the Interior Museum - E Street and 18th Street. Renwick Gallery, Decatur House, Explorers Hall, National Museum of Women in the Arts, and the Mary McLeod Bethune Council House National Historic Site - North of the White House. John F. Kennedy Center for the Performing Arts - North of the Lincoln Memorial along the Potomac River. Chesapeake and Ohio Canal National Historical Park - In Georgetown section of the city and along the Potomac River. This park continues for many miles into Maryland, Virginia, and beyond. A number of historic sites exist outside downtown Washington, from the area of Arlington National Cemetery to Mount Vernon and beyond. Some of these sites are accessible using the NPS concessionaire Tourmobile service. An additional fee is required for a few of them. West of the City - Theodore Roosevelt Memorial, Lady Bird Johnson Park, LBJ Memorial Grove, Arlington National Cemetery, Arlington House - The Robert E. Lee Memorial, and the U.S. Marine Corps Memorial. In Chantilly, Virginia, the Steven F. Udvar-Hazy Center of the National Air and Space Museum. In Manassas, Manassas National Military Park, commemorating the two Civil War battles of Bull Run. South of the City - The Titanic Memorial and Mount Vernon. Mount Vernon is located 16 miles south of the city. East of the City - Frederick Douglass National Historic Site, Anacostia Museum. North of the City - Carter G. Woodson Home National Historic Site, African-American Civil War Memorial, National Zoological Park, and Rock Creek Park. 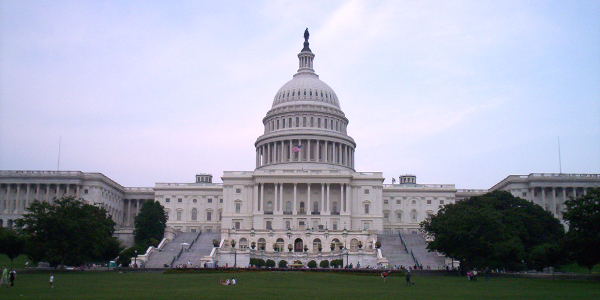 Washington, D.C. is a large metropolis that houses the halls of government, its employees, and visitors. There are a variety of hotels and motels within the city, and many in the surrounding suburbs. Prices range all over the place and some motels provide lower rates during the weekend versus weekday when the government buildings are open. Check the local tourist board, or hotel/motel site for the choice that's right for you. Photos above: Retro picture of the White House. Photo courtesy National Archives.